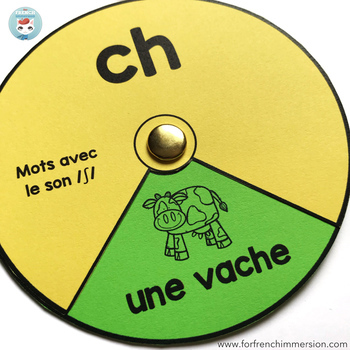 Pour la conscience phonologique: French phonics sound wheels! 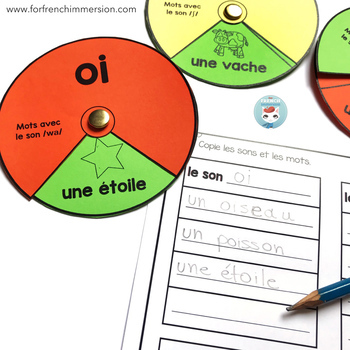 A printable resource for you to use during "la lecture guidée" or to set up as a French literacy center (centre de littératie). $6.00: from Monday, the 15th through Easter, this item is discounted. $7.50: from Monday, the 22nd, on, this resource will be full-price. Students spin the wheel and read one word at a time that includes the focus sound. You can use as warm-up during guided reading. If setting up as a center, but you also want accountability, use the differentiated answer recording sheets included in the file. 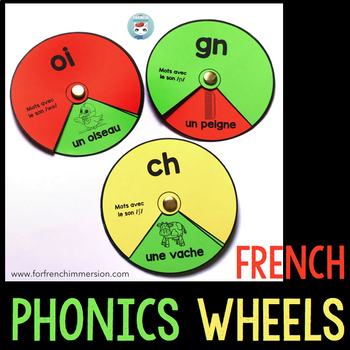 There are more than 100 French phonic wheels in this resource! 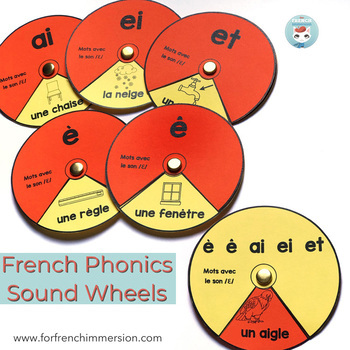 Copyright © 2019 For French Immersion ALL RIGHTS RESERVED. For one (1) classroom use only.